2 of 15.10.551.39 - Metal Sleeve 1.000 x .640 x 3.130"
Energy's specially formulated HYPERFLEX polyurethane cab and body mounts combine the best qualities of both aluminum and rubber body mounts: they're soft enough for a smooth ride, yet rugged enough for the most demanding road or track. A subframe bushing is found at the mounting point between the subframe and the body. 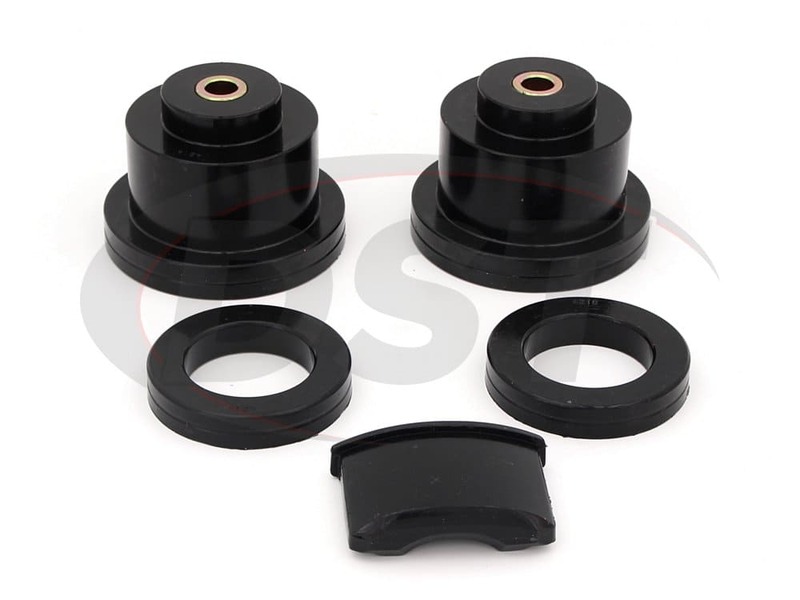 Most OEM subframe bushings are made of rubber, which over time begins to wear and crack. With a failed subframe bushing, noise and vibration become a major issue for both the driver and the passengers. 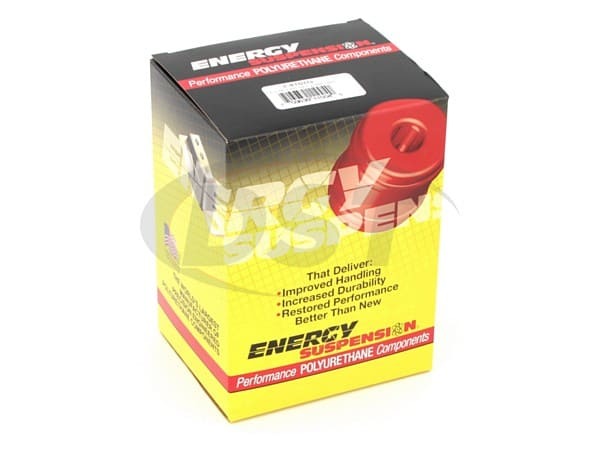 The subframe bushings responsibility, besides mounting, is to dampen road noise and vibration from entering the cab. 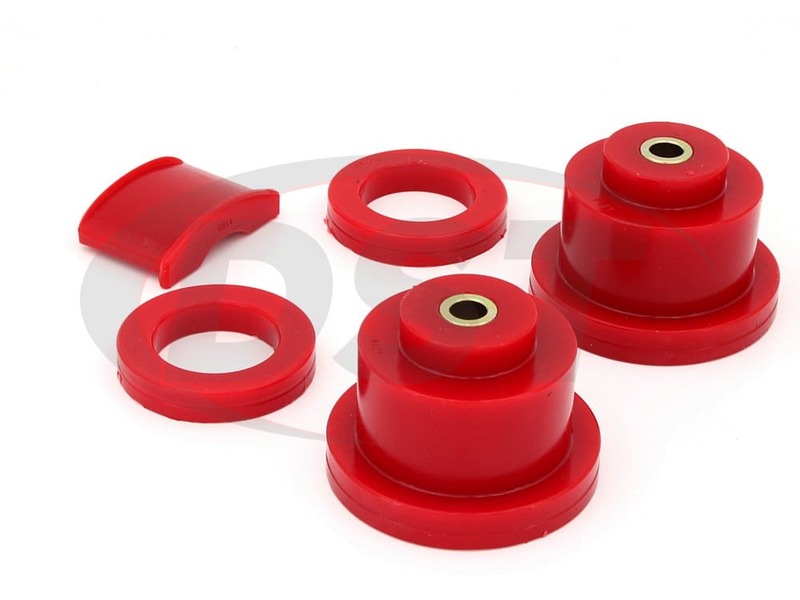 So once these bushings go, your quiet smooth ride is in trouble. 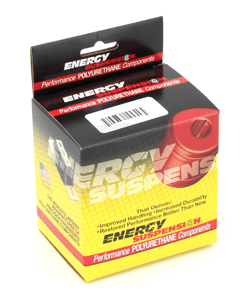 Energy Suspension's Hyperflex polyurethane is a much more durable material for subframe bushings. 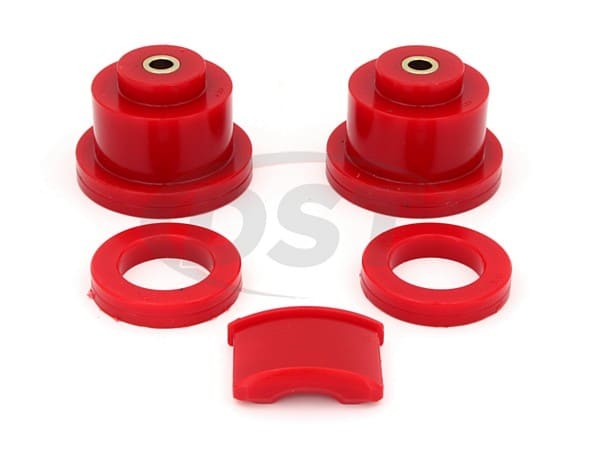 Not only do these bushings maintain the mounting alignment very well, but polyurethane does not crack, distort, rot, or wear the way rubber bushings do. With more durable material, there should be an increase in NVH. 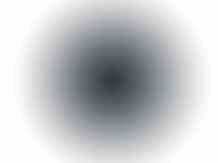 But there is also a performance boost to consider! 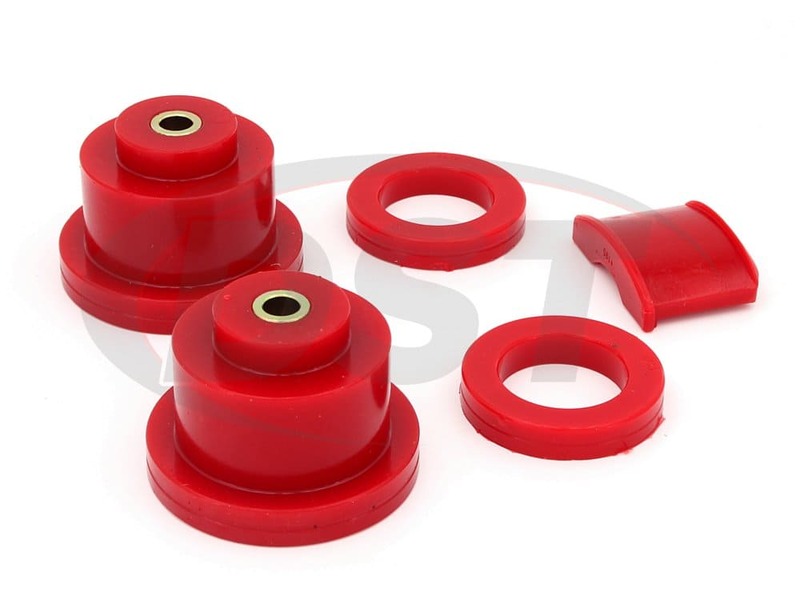 With polyurethane subframe bushings you can effectively eliminate wheel hop giving you a faster launch time whether from a starting line or a green light. starstarstarstarstar" Amazing how different the ride is and no clunk under hard acceleration. " A fairly easy install. The old bushings were harder to get out than putting the new ones in. I used plenty of lube and a vice to install the diff bushing but it popped right in with that. I would advise undoing the rear mount first and even replacing it as the stock ones do sag after a few years. It will even throw off the alignment of the mounting holes for the large bushings if the stock bushing is sagging. You will need a good floor jack. I did one side at a time with plenty of room to install the bushings. Just make sure the top one is seated correctly. I would advise these to any 04 to 06 GTO owners. Installation was very easy to complete. Took about 45 minutes to complete both sides. They are much stiffer than the original but they had approx. 70k miles on them. Sufficient comfort for a daily driver while still confidence inspiring during HPDEs. Perfect compromise.